Frank Dubiel passed away in Fall River December 7, 2003 as a result of a heart attack while shoveling snow in the Blizzard of 2003 after receiving word of his mother`s death. Frank Dubiel. He is survived by his Aunt Sarah (Almeida) (Camara) Napert and cousin Mrs. Frank (Evangeline) Fieldhouse of Tucson, AZ. Son of the late Paul and the late Alice (Almeida) Dubiel. Age 56. Private burial for Frank and his mother Alice will take place in Notre Dame Cemetery, Fall River. Calling hours are omitted. Funeral arrangements are under the direction of Manuel Rogers & Sons Funeral Home, 1521 No. Main St., Fall River. In Lieu of flowers, memorial contributions in his memory may be made to the Faxon Animal Rescue League, Durfee St. 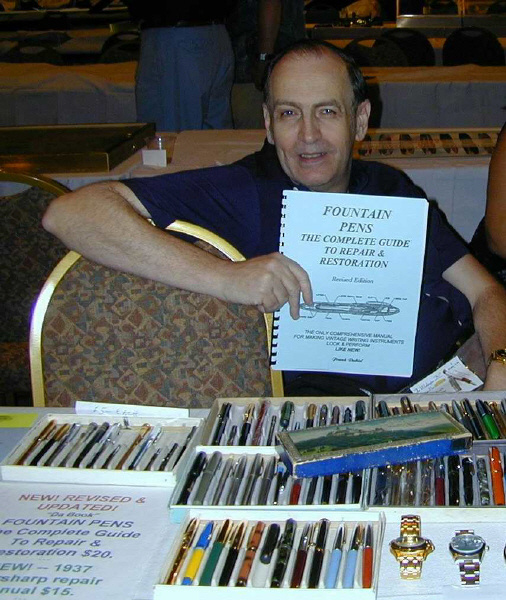 I personally met Frank over the years on several US pen shows. He always was very kind..to everybody. 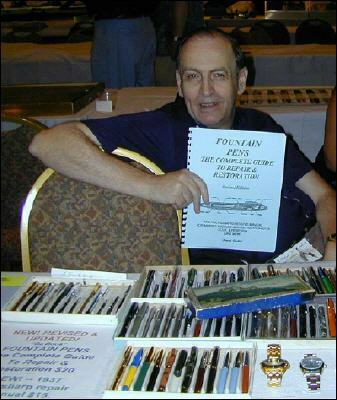 The pen community lost a great person with a lot of experience and knowledge. we took together a shutte to the airport. We had dinner in a restaurant, and spent approx. 1 hour together. His last words were..."See you in LA".